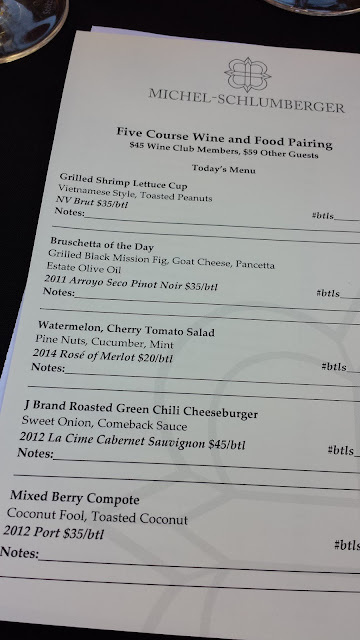 It doesn't get much better than this: a tasting menu perfectly prepared and paired with some delectable wines at Michel-Schlumberger in Healdsburg CA. The only complaint? I can't stop dreaming about that burger! Watermelon salad with a hint of mint on the left. Berries on the right were the bomb - and topped with coconut cream! The very awesome tasting menu which is much better in person, of course. While in Healdsburg, make a reservation and stop by! What's not to like about Himawari in San Mateo? This place has a fun, hip vibe with retro records on the walls and a bustling waitstaff to move your order along. 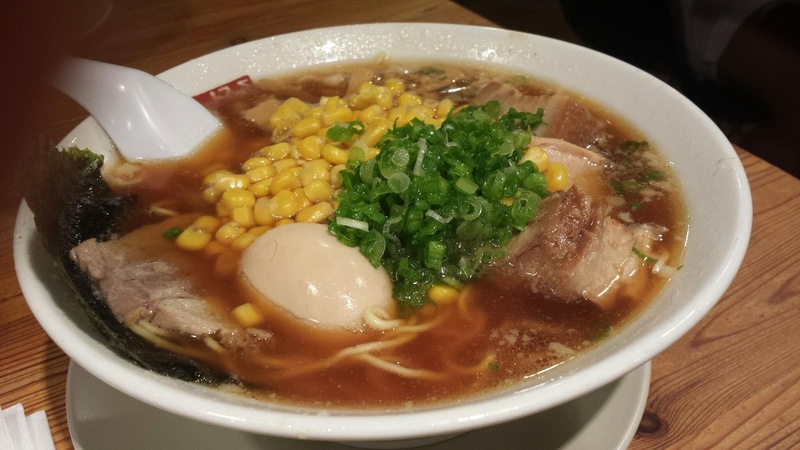 The order in my case: a bowl of the Deluxe Ramen with pork, an egg and lots of corn. The perfect mix of rich pork, salty broth and crisp corn helped me get to the bottom of the bowl. The reasonable price point (dinner for two under $30) will help remind me to come back soon. 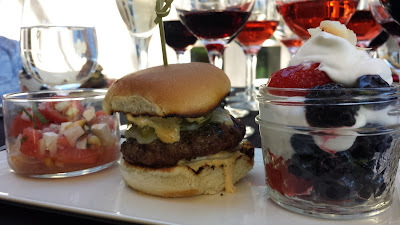 Looking for a new food experience with lots of flavor and the fun of eating with your hands? Check out the popular Cafe Colucci in Oakland CA but take lots of friends because this experience is as tasty as it is social. 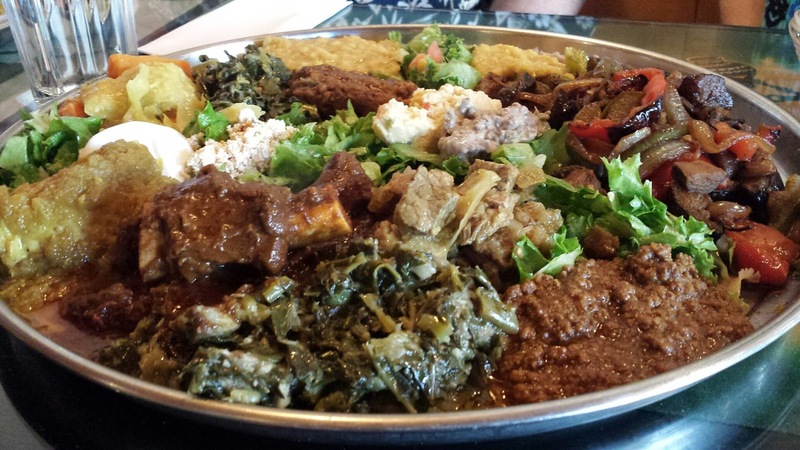 We ordered a few meat and a vegetarian combos but could have gotten by with just one of each. Our table of six was overloaded with food - no complaints from this eater - but we took a lot home! For me this is a favorite experience because of the food, the scent of exotic spices in the air and the social vibe caused by the shared dishes. Overall, everything is fantastic, even the casual, relaxed ambiance. It's hard to top a day in the Wine Country, especially when your destination is the ever-charming and laid-back Healdsburg. Add in the warmth of a summer day, your favorite friends and voila! - the perfect mix and the best setting you can imagine. As a starting point, we dropped by Wishbone in Petaluma for breakfast. Of course this wasn't just any breakfast with options like the farmers board (pictured below) the Queso-zilla (sooo tempted to order) and the not-so-standard items like eggs benedict. 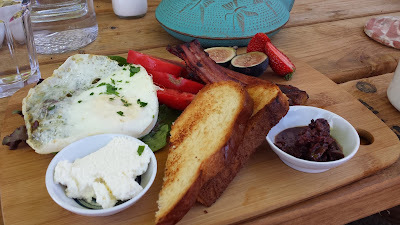 The farmers board entailed fresh ricotta, an egg, toast and a homemade piquant tapenade. Trying to pace myself seemed silly so I abandoned any such thoughts and then cleaned the board. We lazily made our way to Merry Edwards where the wine's namesake made history as the first female winemaker in California. Next stop: Kokomo in Healdsburg where we sampled a variety of reds and whites - all pretty amazing (I'm a fan) and then the olive oil at Dry Creek Olive Oil next door. Our best and final stop of the day was Michel-Schlumberger tucked away off Wine Creek Road (how fitting!) Originally an organic winery, this is and always has been one of my favorites with its beautiful setting, fine wine and friendly personnel (that's you Quinn!) In addition to the wine and ambiance, they now serve food that's on par with the wine. I have to give props to the chef and recommend a reservation in advance. Once word gets out there will be no space at this table! Amazing menu and food at Schlumberger! Beautiful heirloom tomatoes selected by the chef. Summery, savory pesto pasta salad. 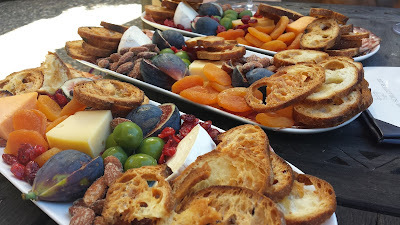 The cheese and fruit platter(s) at Michel-Schlumberger. I feel like one lucky person to experience a day in the "country" with amazing food, my favorite friends and a setting like no other at Michel-Schlumberger. Cheers to the end of summer! I have a new obsession with burgers and I blame the folks at Umami burger. It's not enough to serve up truffle fries but a truffle burger too? As a I was ordering truffle fries and truffle burger I pondered whether that was too much truffle. Noooo. It was perfect and the burger was cooked to perfection. The only thing I didn't love was the setting amidst stacks of books and yes, I get it - we were near the University. For some reason I don't equate a library with yummy food. I guess if I really think about it the ambiance is quite the opposite of a library: noisy, organized chaos. 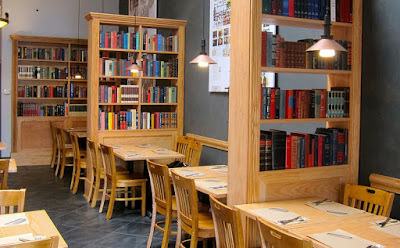 Delicious food amid the book stacks. With a reasonably priced menu, we walked out at just under $20 per person with tip and tax. While a bit more in terms of cost than a bundled meal at In-N-Out, the experience and flavor made up for the difference in price. Finally, I almost forgot to mention the bevvy of sauces (ketchup, garlic and a few others) served alongside the burgers and fries. A small, but classy addition to the meal. 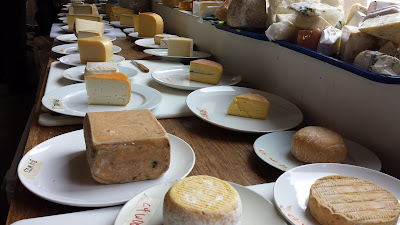 A rare sight: rows of cheese lined up and ready to be tasted and scored. As a lucky volunteer I couldn't help but be amazed by the variety and quality at a recent Good Food Awards judging event. These made the initial "cut" and were awaiting a secondary taste. Always happy to see the "blues". I don't know who won the top prize and bragging rights but suffice it to say, I felt like a winner in the end. I tasted my share of delicious cheese and got to experience feeling truly foodie for a day. Amazing! A year ago I had the luxury of a full month off work which meant the ability to chase down bucket list items at my own pace. 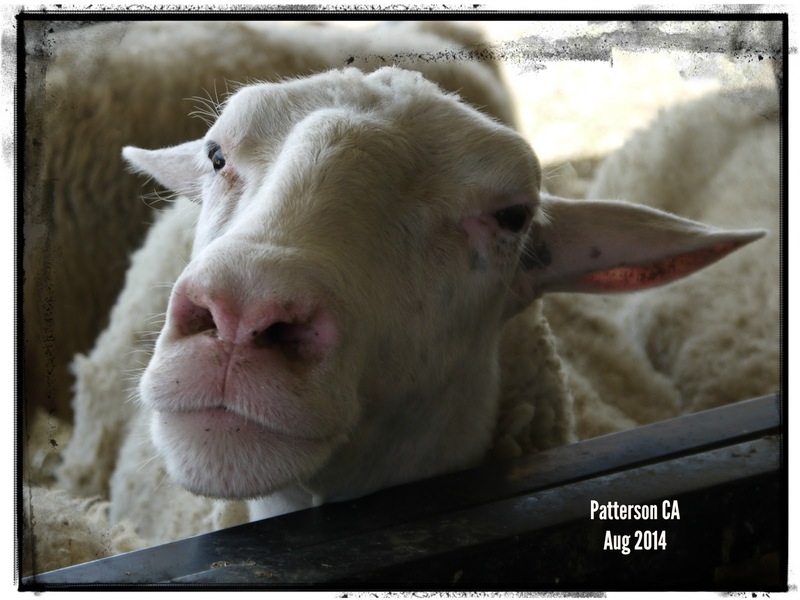 One thing that made the cut: a trip to Patterson CA to gather sheep's milk for cheese. While not a typical summer activity for most, it was, for me, a magical time of discovery and a reminder of how precious summer months can be. While at the farm we found the sheep to be very inquisitive and really, really sweet. 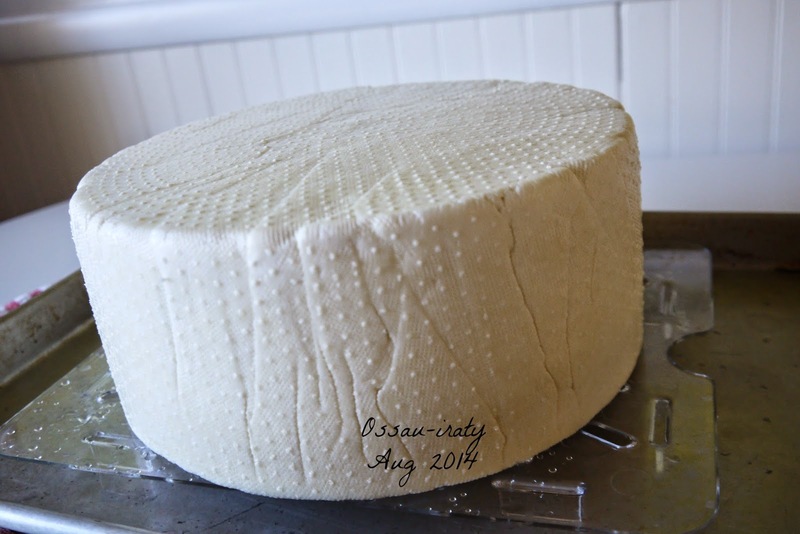 Once home and deep into making cheese I knew right away the quality would be impeccable. A few facts here: sheep milk has a higher percentage of fat (about twice as much as cow milk) but little effect on cholesterol due to short-chain fatty acids. 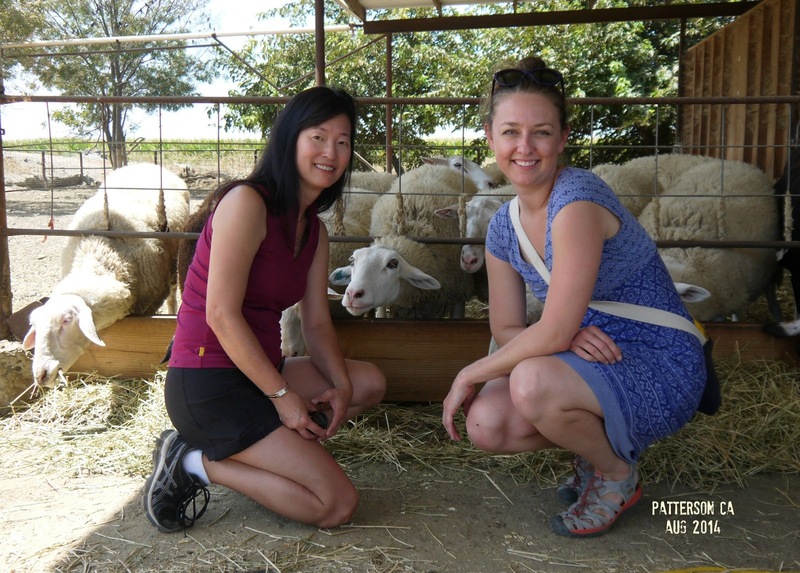 In addition, sheep milk is highly nutritious, rich in vitamins A, B, and E, calcium, phosphorus, potassium, and magnesium and easier to digest than cow milk. Of course, it's all about the cheese and the resulting Ossau-Iraty - a mild variety with a texture similar to Manchego - turned out to be superb in flavor and consistency. The big wheel - right out of the press. The final product after 6 months. Funny how quickly life takes over and more recent memories become like aged photographs: still precious but fuzzy at the edges (and yes, how sentimental!) 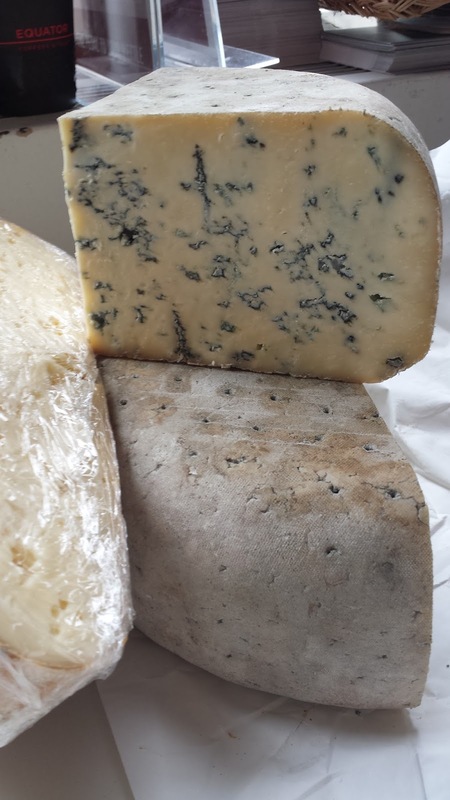 I'm holding on to the last wedge of Ossau-Iraty and the reminder of warm nights, long days and the sun-kissed memories of that amazing summer last year. Located on Market street in the Castro, this eatery has a name that's hard to spell and food that's hard to resist. And like any hot spot in San Francisco, reservations are precious and not easy to come by. Luckily for me I was able to tag along with a friend who snagged a table and the dishes - and ambiance - did not disappoint. My favorite, hands down was the halibut crudo with pimenton, peach and black olive oil. This dish represents the perfect blend of cool spice, fresh flavor and colorful artistry. I'd return to Aatxe for this alone. Halibut crudo with toasted pumpkin seeds, peaches & chilies. Of course we didn't stop at the crudo! Rounding out the lineup: rich smoked salmon deviled egg, chanterelle croqueta, tomato and cucumber salad, patatas brava and pork bocadillo (pork belly - yum). The food is clearly the star and the impressive cocktail list - with gin taking center stage - supports the entire cast. Currently one of the hottest new places, Aatxe is worth the effort and a must for any fine foodie. In the event you don't have the patience to wait or secure a reservation, try Hecho which is located up the street. They serve a mean melted cheese appetizer that's simply divine. Either way you can't go wrong! 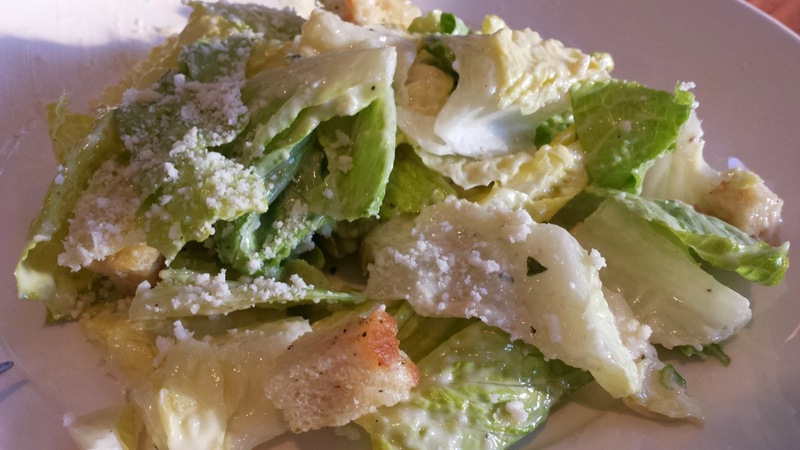 Pazzo embodies that rare gem of a neighborhood restaurant: walk-in casual, good service, killer food. With a menu of expertly crafted dishes rolling out of the kitchen it's no surprise a short wait is often the norm. 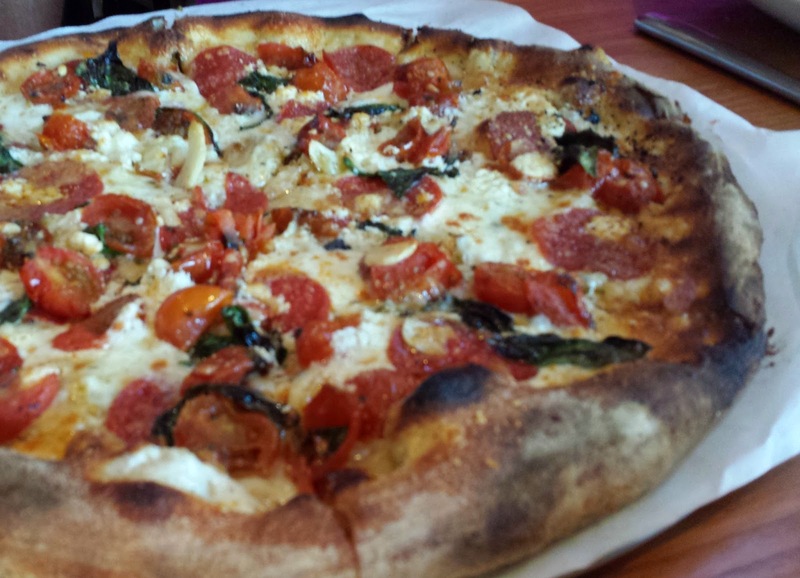 The wood-fired oven churns out a variety of pizzas with my standout favorite being the simple Margherita. You get the right balance of tangy sauce, luscious cheese and charred crust. It’s a nice menu item that goes well with the spicy rigatoni. The rigatoni with housemade fennel sausage definitely kicks it up with a generous amount of chili flakes but is balanced out by the butter in the background. Another standout is the cavatelli with slow-braised pork which is both homey yet sophisticated in flavor. And don’t forget dessert: the ricotta cheesecake is delicate - but rich - and just sweet enough. With the popularity of Pazzo there’s often a wait these days for one of the tables. If time is short, there’s always Panda Dumpling next door (but a whole different atmosphere altogether). Although it sounds superficial I’ve often said “I live to eat”, thinking of my next meal as more entertainment and less sustenance. A recent hiking accident and broken ankle turned my motto on its head with food deliveries from friends and neighbors becoming not only sustenance but part of the healing process. How do I say this? I consider myself a fairly empathetic person but I had no idea what you experience when you break a bone. I always thought it meant a cast that transitioned into a work of art over time. Wrong! The genuine concern from family and friends. It seemed like my world slowed to a halt for two months and yet those around me definitely hung on for the ride. Food from friends. Soup (tomato, Thai), chocolate cake, crab cakes and all manner of salads. But soup was key to climbing up and back out into health. The healing process is probably different for everyone. 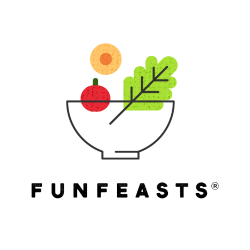 But if you have a friend or loved one going through a surgery, sickness or extended illness, food is a welcomed gift. And to all my friends and family, there aren’t enough words to convey the gratitude I feel for turning words into action, and food into healing my body and mind. Suffice it to say I love - and feel loved - by you. Thank you from the bottom of my heart.